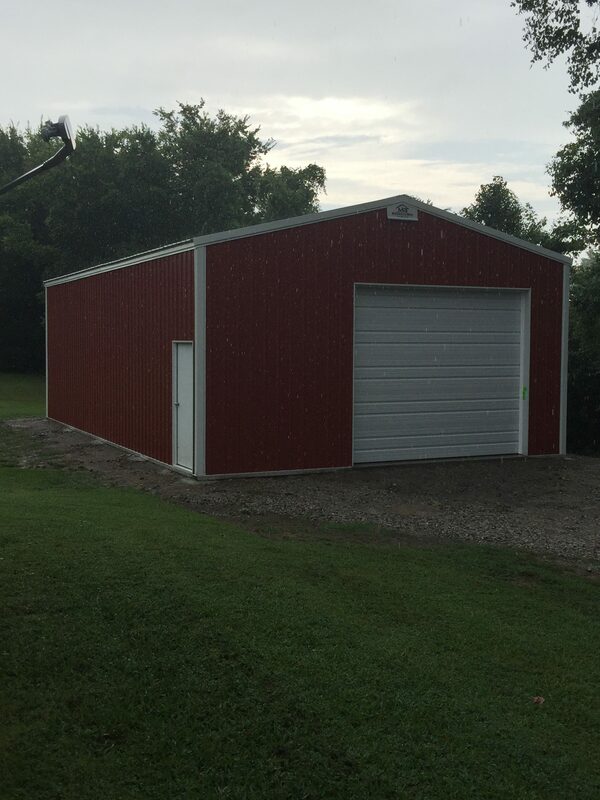 Feel free to leave us a comment and a photo of your recent building. We’d love to hear from you. (If you are considering Meadow’s Buildings and would like recent references feel free to ask.) 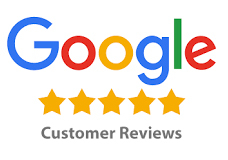 Scroll down to see a few of our reviews! 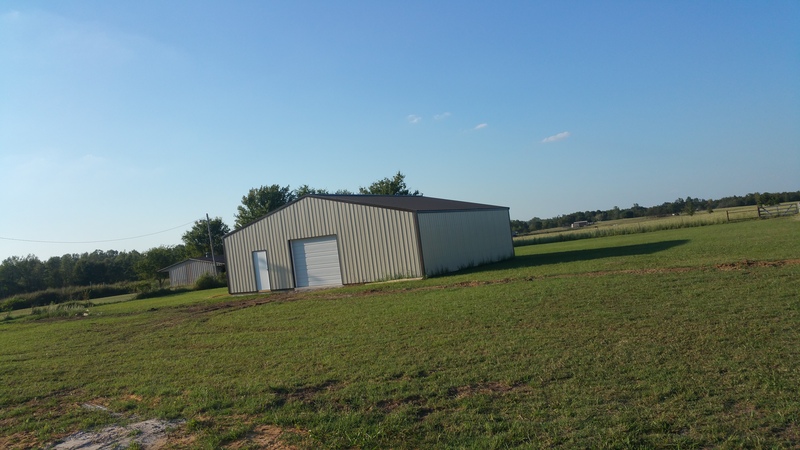 I did a lot of searching before I decided who I would choose to build my pole barn. I spoke with Meadows Building Team, and Anita took over and made sure that I had all the details and the time needed to make my decision. I asked lots of questions and always received a timely answer. I am really happy with my shop and so glad that I pulled the trigger on getting it done. We had a few hiccups along the way, but it was always resolved quickly. If I ever need another building, I will be calling Meadows. I am vey impressed with my Meadows Building. 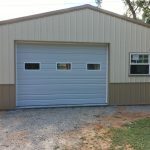 I had another metal building built several years ago by another company. But I was very impressed with Meadows Buildings staff & crews professionalism.. Their crews performance of TEAM WORK is something Meadows Buildings should be very proud. It was very impressive to my wife & I. I have already recommended Meadows Buildings to several of my friends. Great Job Meadows Buildings! Wonderful experience with Meadow’s Buildings. 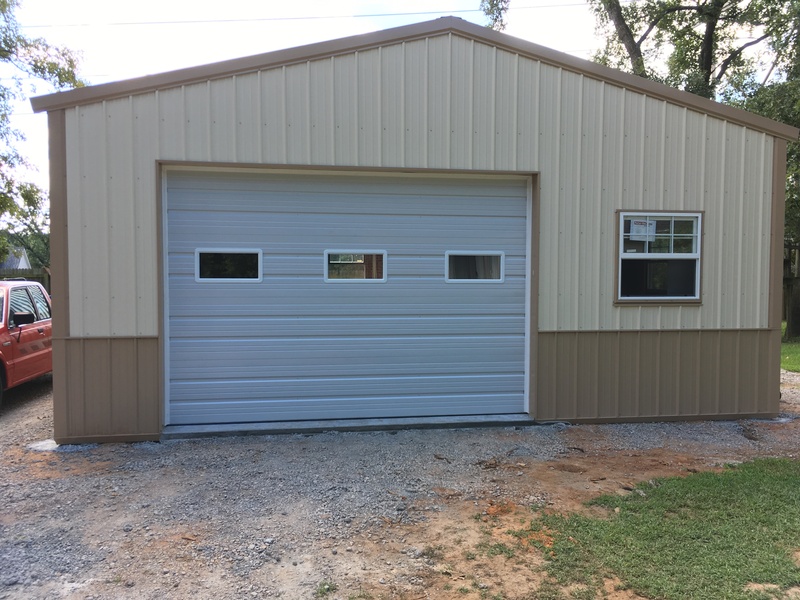 Quality professional construction, no hidden charges. Highly recommend. 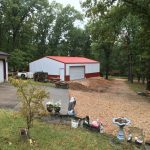 I received 8 different quotes and once they matched the quality of materials Meadow’s provides the quotes were close to $2,000 more. Meadow’s Buildings provides an excellent building at an excellent price. I would recommend them to everyone. Glad I decided to go with Meadows Buildings, very happy from the start to finish process with this company! 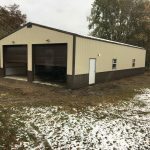 Not only did the building go up extremely fast, they were on top of it with each and every step as far as concrete work and overhead door install immediately after the building was up. Highly recommended !! LOVE my new Shop! It’s a 30x60, with 12′ sidewalls. Meadows helped me do whatever was needed to ensure that the final product was exactly what I wanted. I talked to Hannah about what I wanted, and then discussed options, and then changed my mind on her. Lol. The whole team was very accommodating. I also used their recommended dirt guy and concrete guy, (the spot I chose was on a pretty good slope, and I added a sidewalk from there to my house) and was VERY pleased with both of them. Everyone who came to my job site had an attitude of “yes we can do that.” They were easy to work with and showed up when they said they would. Knowledgeable and professional and they never cut corners. I feel like I got the best building for my money, and they moved quickly! Thanks, guys! I will add pictures when I get them. It looks fantastic! 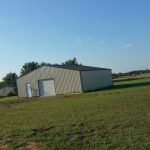 I chose Meadow’s Buildings for our 30x40 pole barn after searching all the other building company’s and I have to say Meadow’s had the best price and I got exactly what I wanted. 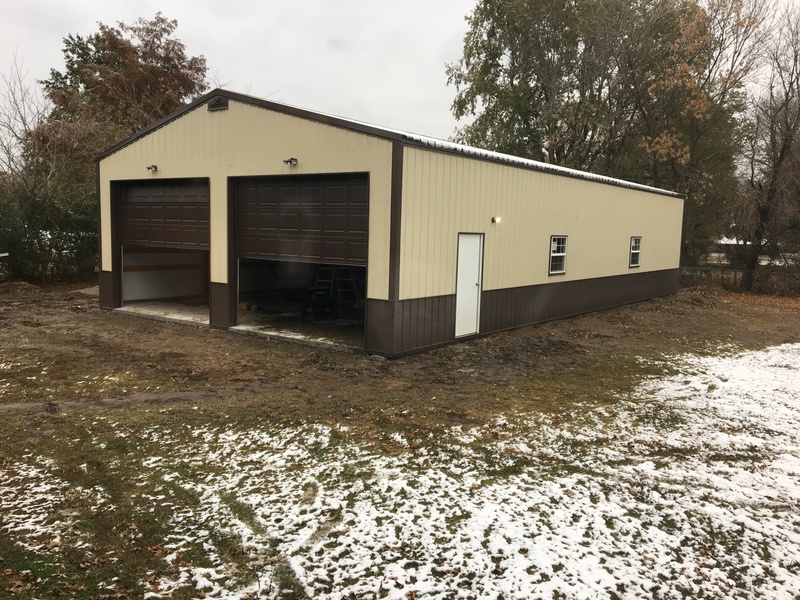 We love our new building and would recommend Meadow’s Buildings to anyone wanting to have a building built! From my first contact to completion of my 30x40 shop, the folks at Meadows Buildings have been great. Communication has been great with the builder, the concrete guys, etc. 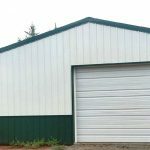 I would highly recommend Meadows Buildings for anyone looking for a metal building. 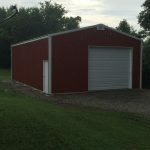 Meadows Buildings made the process of building our pole barn easy and quick for my husband and me. 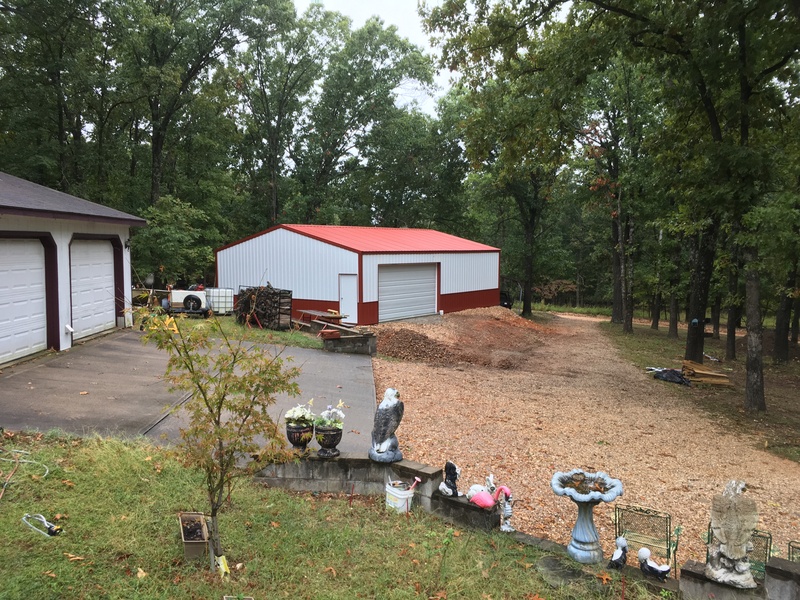 We would recommend them to anyone needing a building. Love my pole barn! Did a great job on everything. Glad I decided to go with meadows buildings, very happy from the start to finish process with this company! not only did the building go up extremely fast they were on top of it with each and every step as far as concrete work and over head door install immediately after the building was up. Highly recommended !! Would recommend this company to anyone! Honest, fast and reliable!! From sales to final construction, everyone kept me up to date on schedule and everything went as planned. Customer service is the best I’ve seen!! I felt Mr. Meadows was a stand up businessman who handle my particular situation professionally. I would highly encourage anyone shopping for a pole barn to get a quote from Meadows and visit with him personally.